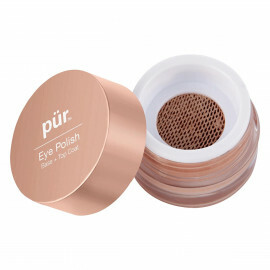 Give your cheeks the perfect wash of colour with PÜR's age-defying Chateau cheek stain with built-in skincare ingredients. Featuring antioxidant-rich wine extracts to fight age-accelerating free radicals, this gel-like formula melts on your skin to give your look a dewy fresh glow. Add a dab for a barely there tint or layer it on for a dramatic flush of moisture-rich colour. Either way you wear the cheek stain blush, your skin will thank you. "Cheek Stains are great to wear alone or as a cheek base in order to layer powder or cream blushes over top." 1. Dab Chateau Cheek Stains on the apple of the cheeks and blend using the applicator brush. 2. Sweep Chateau Cheeks Powder Blush over top.